Prehistoric Smarty lovers listen up! 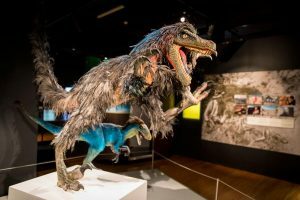 A colossal family reunion is taking over Charlotte this summer as Discovery Place Science opens Tyrannosaurs: Meet the Family. It’s an innovative, multimedia experience – one you really need to see to believe. It is the world’s first exhibition showcasing ancestors of Tyrannosaurus rex. 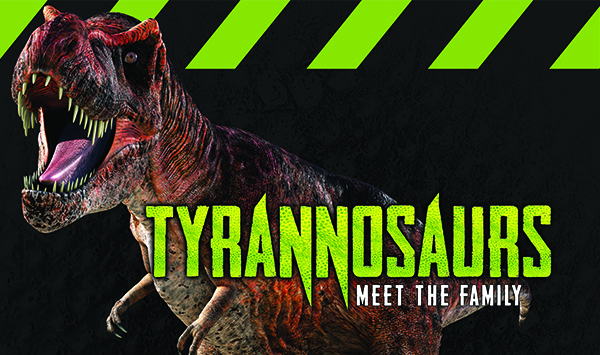 Tyrannosaurs features more than 10 life-sized dinosaur specimens, plus a dramatic array of fossils and casts, state-of-the-art technology and a hands-on Dino Pit where guests can dig for fossils. Want the ultimate dinosaur adventure? You can purchase a Prehistoric Package, which includes Tyrannosaurs, full-day admission to Discovery Place Science and the larger-than-life IMAX® film Flying Monsters, which explores the story of the flying pterosaurs that ruled the prehistoric skies. Keep in mind that all tickets are for timed entry, so visitors will be asked to select a date and time of their visit before purchasing. Smarty Camp Discount: Get 10% off Carolina Diving Academy Summer Camp!